- This property comes with 2 dedicated parking spot. Additional parking can be found throughout the community. 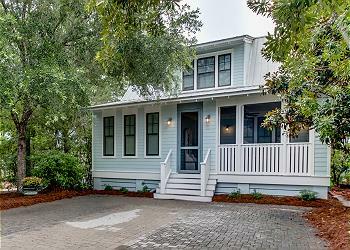 DETAILS: 10 Lyonia is a beautifully decorated 4 bedroom, 3 bathroom beach home in the Cottage District of WaterColor. This home boasts two spacious screened in porches, including a swing bed and a flat screen TV with an outdoor dining space. The first floor features the master bedroom and guest bedroom along with an open living and dining area. The second floor includes a bunk room and an additional guest bedroom. This home is located within walking distance to the WaterColor tennis courts, Seaside's Artist District and restaurants and is 4 blocks from the beach. Beautifully furnished home. Loved the front porch w the candles and beautiful chairs. The back porch was awesome! A swing bed and a long dining table too! AND tv! Would love to rent this home again. Beautiful! our family had a wonderful time. We will definitely be back. the house was clean and great! What an incredible home! Everything you need for a fantastic stay is at your fingertips. Our family had the best time, and this house was paramount in making our trip incredible. We so appreciated the gorgeous decor, thoughtful amenities, and the location was perfect. We traveled with kids, and were so happy to be a hop, skip and jump from everything Watercolor and Seaside has to offer. This home has it all for a wonderful, relaxing, convenient and fun vacation. Thank you so much! We are so glad that you enjoyed your stay with us in Watercolor! We agree that this home is in a wonderful location to enjoy Watercolor and the surrounding communities plus its a great spot to sit back and relax! Thank you for staying with 360 Blue, we hope to see you again soon! Beautiful house. Exactly what we needed for our family of 5. Perfect location. We are so glad that you enjoyed your vacation with us in Watercolor! We look forward to seeing you all again soon! Best girls’ trip ever! The house and amenities exceeded our expectations. It was spacious, clean, updated, and beautiful. There was plenty of room to spread out, and the two screened in porches were nice for relaxing. The beach was a short bike ride away. We loved it here!! We are so glad that your girls trip was a success this year and we are so glad that you chose 360 Blue to host it! We agree that this home is perfect for a fun and relaxing getaway and who doesn't love passing time on the front porch? We are looking forward to seeing you all again soon! We have been coming to the beach for over 30 years, and this was by far the best experience we have had. The customer service was exceptional! From a spotless house to a well-stocked kitchen, 360 Blue thought of everything. Providing coffee, paper products and cleaning supplies was an added extra bonus, and it makes for ease of travel. The home was extremely comfortable, and the two screened in porches were spacious and provided a wonderful spot for morning coffee and afternoon cocktails. We will absolutely be calling on 360 Blue in the future. Keep up the superior service! We are beyond thrilled that you enjoyed your stay with us in Watercolor and we are so glad that your experience with us at 360 Blue was a great one! We look forward to hosting you all again very soon! Excellent home and extremely close to all the action in Watercolor by bike. I would definitely stay at this home again! We are so delighted that you enjoyed your stay here with us in Watercolor! We agree that this is a perfect location to enjoy everything that Watercolor has to offer! We look forward to hosting you all again very soon! We LOVE staying in this house for so many reasons. It has EXCELLENT walking distance to both Seaside and Watercolor. The tennis courts next door are a huge bonus. It\'s very easy to get to both the Watercolor and Seaside courts. One of my favorite features of this home is the screened in back porch overlooking nature just off the lake. The hanging day bed is excellent for reading or napping. We are a family of six and felt the home was perfect. With the bunks upstairs, we could have easily slept more guest. We have stayed at this particular property more than once and are already anticipating a return. It is very well kept and very quaint! I recommend coffee on the front porch to start your day. This cottage and location can\'t be beat!!! Ride your bike to the beach, the food trucks, and even Publix grocery store. Would give more stars if I could! We are absolutely thrilled that you enjoyed your stay in this incredible home. We have to agree with you on the porches, such perfect spaces. We loved having you as our guest and we hope to see you back soon! What a great group photo! We are absolutely thrilled to hear that our service and property impressed you so thoroughly! The location of this house really is perfect! Thank you so much for choosing 360 Blue and taking the time to share your experience with us. We look forward to helping you plan your next vacation with us! A beautiful home. We had 6 in our group and the house was perfect! Loved having bikes and code entry!! Thank you for sharing home with us for friends wedding. Also being able to use watercolor beach!! We love seeing all those smiling faces, it just makes our day! We are so excited that you and your family had such a great vacation in WaterColor! Thank you so much for staying with 360 Blue and we hope to have you back on 30A again soon! Great trip! Watercolor is one of our favorite spots. We were there celebrating our daughters 30th Birthday. House was perfect for us and loved the location. Love that photo, it just rings celebration! Thank you so much for making 360 Blue a part of such a special occasion for you and your family, especially taking the time to share. Cheers! Loved the house. Great location and very clean. Very comfortable and updated (televisions, beds, appliances) Want to stay again! Looks like the perfect day for the beach! We are thrilled you and your family enjoyed your stay! Thank you for choosing to stay with 360 Blue and we can't wait to have you back again soon! Staying in Watercolor at this home was simply a wonderful experience. This property was decorated beautifully with very comfortable furnishings and a excellent kitchen with first class amenities. We would definitely stay here again and recommend it to our friends! We thoroughly enjoyed our stay in this beautiful home. While it was only two of us, the home was very spacious, warm and comfortable. We enjoyed the cozy seating areas on both the front and back porches! 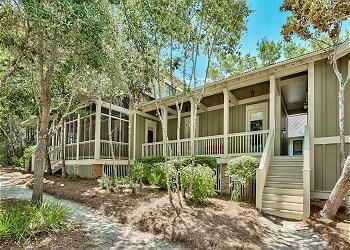 The location is very convenient and within a short walk to the beach, pools, walking/nature trails and shopping. What a beautiful photo! We are so excited to hear that you had such a great stay. This home has everything you need for a perfect beach getaway. We loved having you with us and hope to have you back soon! Our family of six had a great time in this cottage. We loved biking every where and being at the beach in October was awesome. Everyone that we dealt with from 360Blue was pleasant and helpful. What a beautiful family photo and one to remember for years to come! We are so happy you enjoyed your stay! Thank you for choosing 360 Blue and be sure to visit us again soon! Such comfort! We reallyed enjoyed our stay here. The house is beautiful and cozy. It had everything we needed and more! My daughter loved the cabinet of board games as well. We lived that it was a quick walk into town and not too far from the beach and pools! Thank you for a wonderful place to stay! You just can't beat that view! We are so thrilled that you chose 360 Blue for your beach getaway. We hope to have you back soon! Thank you so much for the opportunity to enjoy your beautiful beach home. We loved having some much needed family time. It was our last family vacation before sending our oldest to college in a few days!! We enjoyed the beach every day, the bike rides, and playing board games at night. The porch was lovely for meals. We had plenty of room for a family of five to spread out. Would definitely recommend and hope to return. Sounds like you made some amazing family memories! The amenities of this home really are beyond compare and we are thrilled that your family enjoyed your stay. We look forward to having you back soon! Our party of 4 adults and 3 children (12, 9, & 4) found 10 Lyonia Lane to be the perfect setup for our two families. One family came from Lexington, KY, and the other from Ocala, FL. The boys all got to share the bunk room and each couple had a king bed for comfort! We found the home to be well stocked (though the kitchen needs pot holders! ), clean, well decorated, and overall just a wonderful place to stay. The location was ideal for beach and pool, and we enjoyed both daily. The boys also had a fantastic experience with Captain Larry of Dead Fish charters. We had an awesome fresh fish dinner for our last evening at the home, and also grabbed some steamed shrimp from Goatfeathers to go with, which was perfect! None of us had ever been to the area, so working with you all at 360 Blue was great for helping get us situated. Any time we had an issue or request, someone was right on it. Thank you for the wonderful vacation!! Sounds like everyone had an amazing time. This home is great for families and provides such a perfect location in WaterColor. 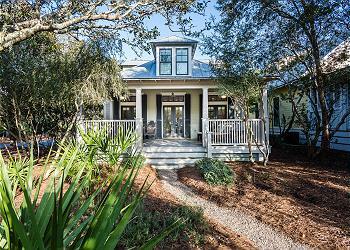 We are so grateful that you chose 360 Blue for your first trip to 30A. We hope to have you back soon! 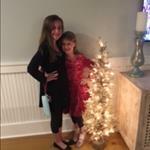 What a wonderful holiday photo! What a great memory to share for years to come! Those covered porches are perfect for fun family activities! We are so happy you enjoyed your stay at 10 Lyonia Lane in Water Color! Thank you for staying with 360 Blue! Come back soon and visit us again soon Rogers family!